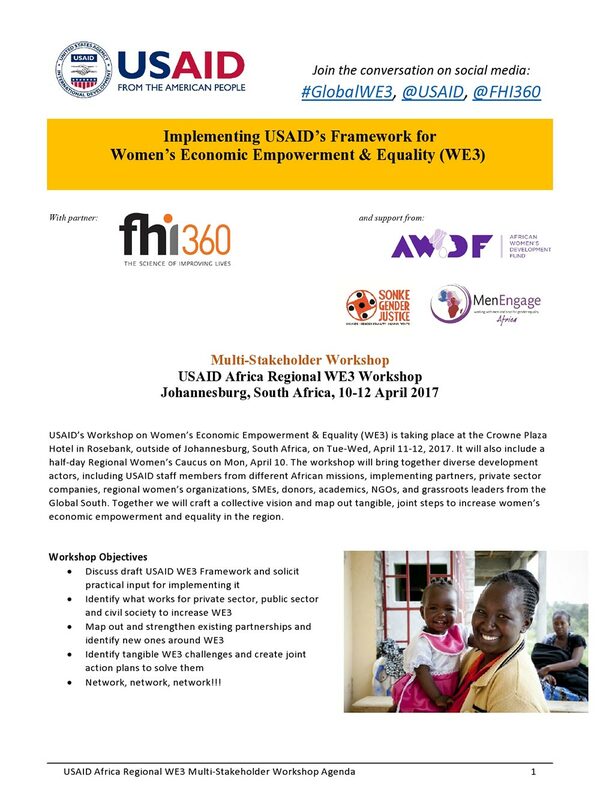 MenEngage Africa and Sonke Gender Justice are supporting a FHI 360 and USAID – US Agency for International Development workshop on Women’s Economic Empowerment & Equality (WE3), which is taking place at the Crowne Plaza Hotel in Rosebank, outside of Johannesburg, South Africa, today and tomorrow (Tue-Wed, April 11-12, 2017). 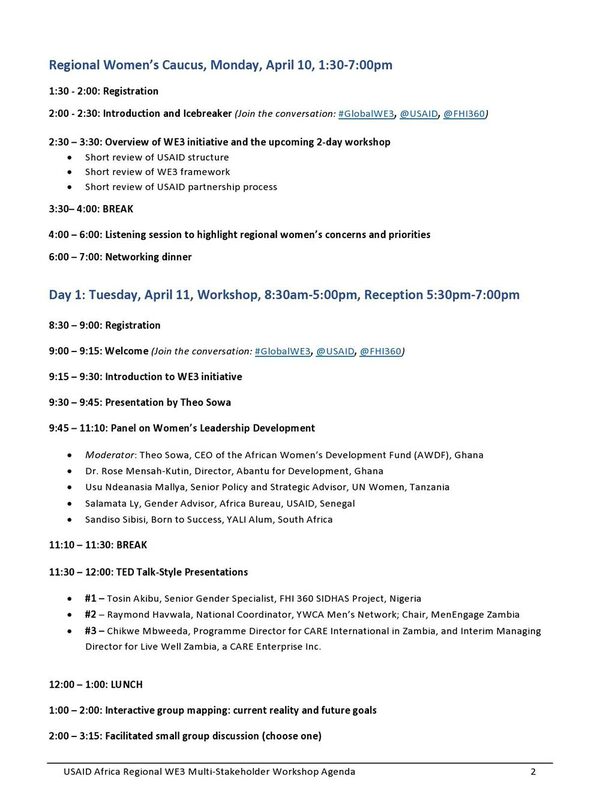 The workshop was preceded by a half-day Regional Women’s Caucus which was held yesterday, Monday, April 10. 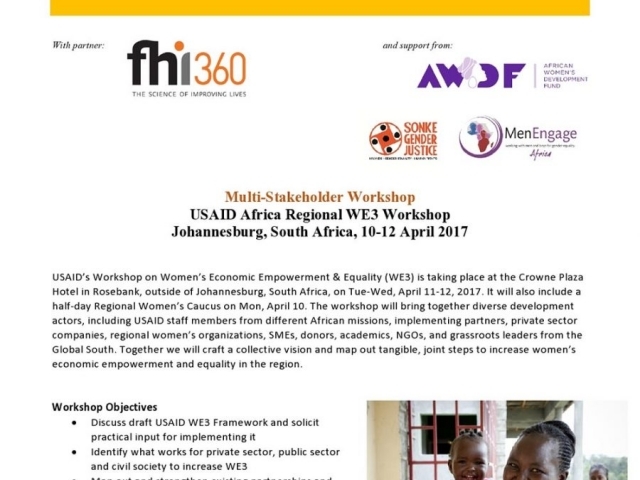 It will bring together diverse development actors, including USAID – US Agency for International Development staff members from different African missions, implementing partners, private sector companies, regional women’s organisations, small and medium enterprises, donors, academics, non-governmental organisations and grassroots leaders from the Global South. 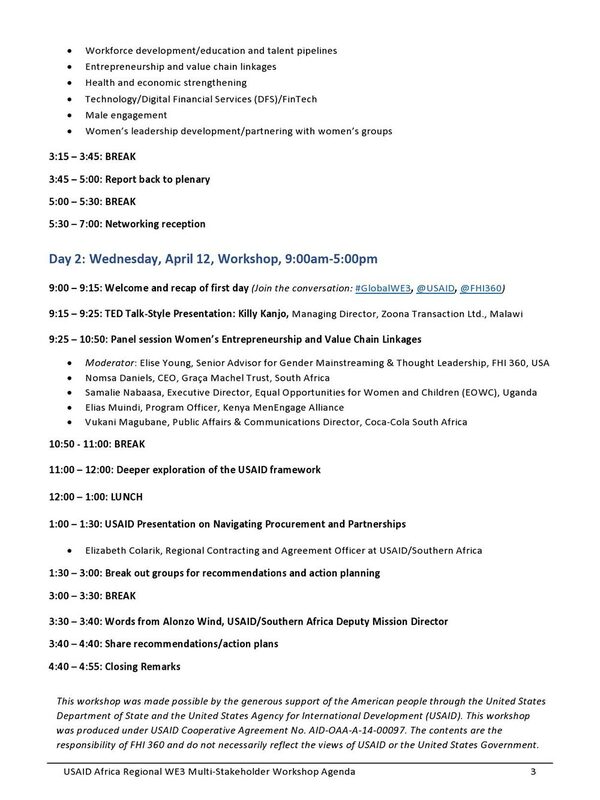 Elias Muindi, Programme Officer for MenEngage Africa’s Kenya network, Kenya MenEngage Alliance – KEMEA, will speak in a panel session on Women’s Entrepreneurship and Value Chain Linkages, on the second day of the workshop, 12 April 2017. Together, we will craft a collective vision and map out tangible, joint steps to increase women’s economic empowerment and equality in the region. 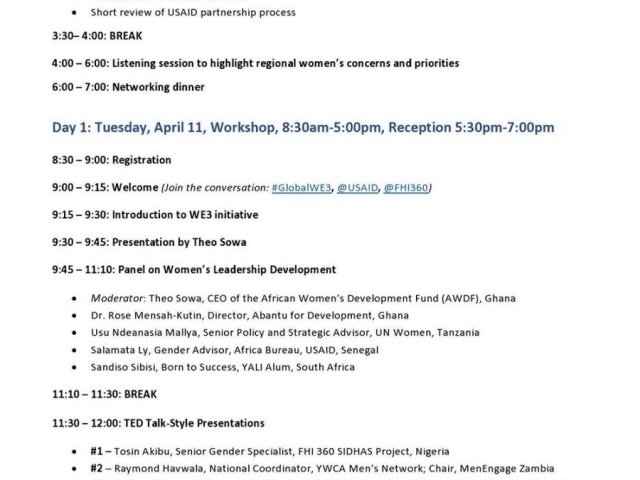 Discuss draft USAID WE3 Framework and solicit practical input for implementing it. Identify what works for private sector, public sector and civil society to increase WE3. 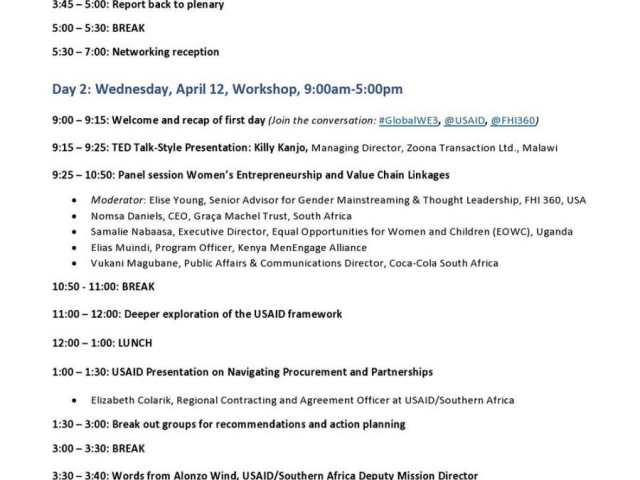 Map out and strengthen existing partnerships and identify new ones around WE3. Identify tangible WE3 challenges and create joint action plans to solve them.